The Delaware River Port Authority announced on Saturday that the Ben Franklin Bridge will light up purple this weekend in memory of music legend Prince, who died on Thursday at the age of 57. “Over the course of his career, Prince was an inspiration to billions of fans worldwide. 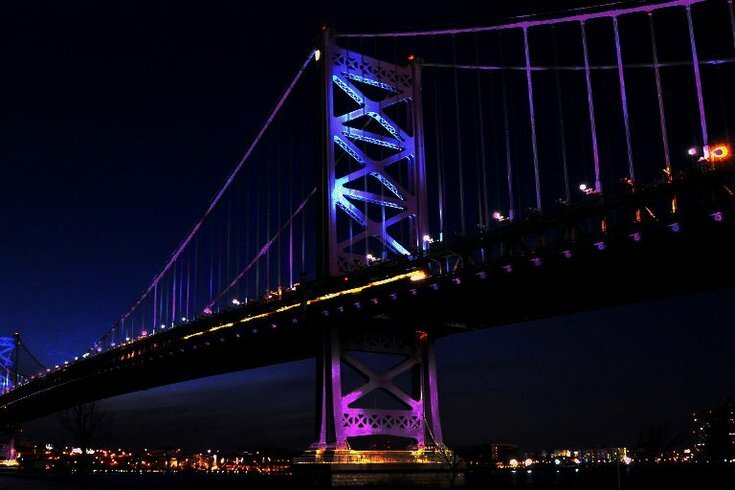 In his honor, we will light the Ben Franklin bridge purple in hopes that it serve as an inspiration to the millions of people in our very own region,” said Ryan Boyer, DRPA Board Chair. Many businesses in the area are honoring Prince including PhilaMOCA, which is hosting encore screenings of a Nigerian "Purple Rain" remake on Sunday and FringeArts, which is hosting an all-night dance party on Saturday. "Lighting the Ben Franklin Bridge purple is just a small way to memorialize and honor Prince’s amazing talent,” said John Hanson, DRPA CEO. The special purple lighting on the bridge can be seen April 23 and 24.